Customer retention has more benefits to your consultancy than you can ever imagine. Obviously, it guarantees your customers that you can continue serving with your freelance skills and expertise. The fact that you have a ready market for your products means more sales – and profits – for your freelance business. 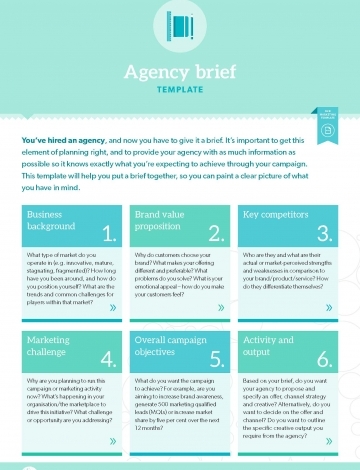 The agency brief template is a useful tool at retaining more clients and making more profits. It’s actually easier to earn customer loyalty more than you realize. You can do this by sharing your values with them. Providing exceptional customer service also allows you to do just that. Exercise transparency as well. Create a sense of oneness with the clients. Define all these and more with the agency brief. Earning customer loyalty is not an end in itself but rather a continuous process that all freelancers should focus on every time. All freelance businesses have VIP clients. This refers to the clients who give you the most value. Prevent them from leaving. Do whatever it takes to keep them happy. Study their behavior over a number of days, weeks or months. Any valuable customer who hasn’t bought or ordered anything from you over the last few months is more likely to leave and move to your competition. Focus on them. Use the agency brief to show them how much you value their presence. First, know everything you can about your customers. With this information, you can then learn about the special offers – including discounts and gifts – worth giving them. The agency brief template should give a hint of this. It should establish the benefits that your freelance clients are likely to derive from the relationship they form with you. The special offers would only mean more to your clients if you have studied their purchasing behavior over a certain period. Should the agency brief template talk about the rewards your most profitable clients are likely to get? Yes, it should. After all, isn’t the goal and objective to retain them? That can’t happen if they get nothing back in return for all the business they bring to your consultancy. This strategy would be more effective if you invest in software that captures and records all the relevant information regarding your clients. Your association or interaction with clients should never stop once they order something from your freelance business and pay for it. Instead, you should make follow-ups. Through this, you convince clients that you consider them as humans first. Let them know that they are more than just a number to you. Personalize the agency brief template without compromising the professionalism that needs to shine through properly. You can be freelancing professional with a personal touch in all your interactions with clients. The best freelancers are entrepreneurs who know how to use personal touch to regain clients. The most successful freelancers are highly effective at managing their time well. This often includes spending time with clients. Spend more time with them. The agency brief is a great tool for managing whatever little time you have with clients. It is a great tool for showing clients that you consider them a priority for your consultancy. Customers who feel valued and prioritized are more likely to remain with you instead of leaving to join your competition. Do not abandon your clients. Show them that they are all important to your freelancing career. 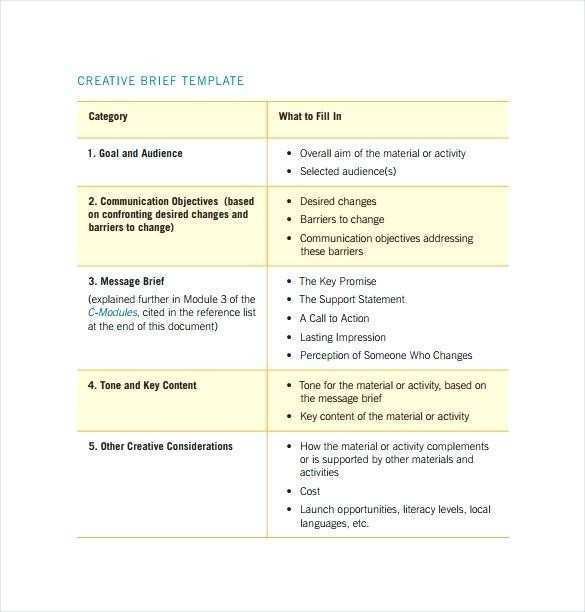 Let the agency brief template to provide the foundations for retaining your freelance clients.